Ok so I know I said I would post heathy recipes, but there comes a point when one must splurge! Trust me this is so worth it! 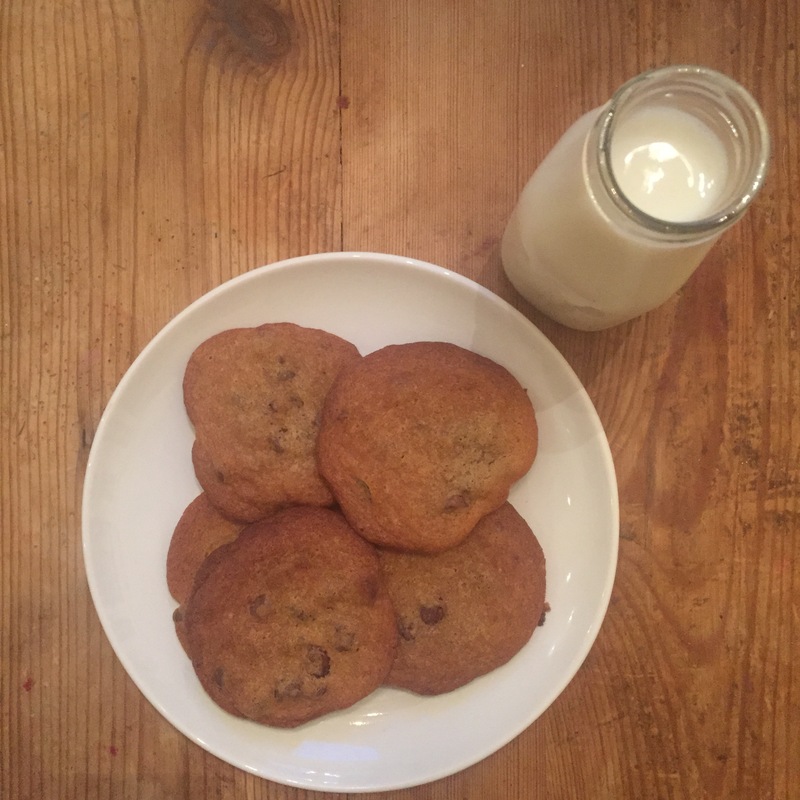 These are probably the best chocolate chip cookies I have ever had – so thin, crispy, and yet still chewy. These cookies were gone in a day in my house!! Everyone one was asking for me to make another batch so a did two days later! These cookies are easy to make and super quick takes 10 min to bake! Heres how to make them! Recipe is adapted from The Pioneer Woman. First preheat oven to 375 degrees and pull out cookie sheets and place either parchment paper or silicone pads on them.Cream butter, then add both sugars and cream until fluffy. Add eggs and beat slightly, then add vanilla and beat until combined. Add malted milk powder and beat until combined.Sift together flour, baking soda, and salt. (I didn’t use a sifter, I just whisked them all together). Finally add the dry mixture to butter mixture, beating gently until it is combined. Next add the chocolate chips, fold them in but don’t stir too much. Finally drop the cookie dough by teaspoonfuls (or use a cookie scoop) onto the cookie sheets. Bake for about 10 to 12 minutes. Next Field Trip to the Farmer’s Market!